Serious riders want their new bike to come from a serious dealer. A dealer with vast experience in the assembly and service of high-end, pro-level bikes. Riders also want a dealer that recognizes the importance of fit and geometry-related aspects of ride performance. A shop where everyone rides. A lot. Adrenaline meets your needs: every single Adrenaline employee is a pro-level mechanic. Our current full-time staff have been in the high-end segment of the bike business an average of 15.4 years each. We have each assembled many thousands of high-end bikes from scratch. The standard that Adrenaline owner Jim Lacy sets for the technical knowledge of every employee is extreme. In fact, over the last 24 years, Jim's former employees have gone on to become: editors at Decline, Mountain Bike, and Mountain Biking magazines, full time pro race mechanics, high-end bike shop owners, and so on. After trying to decide whether to build my bike piece by piece or purchased a build kit, I decided to purchase a complete kit through the Adrenaline website. I really found the available options and the ability to customize my selection helpful. The Adrenaline team was great. They helped me through the process, making sure everything worked together perfectly. On the one occasions when I had to exchange a part, the process went smoothly. I recently purchase a Soma Smoothie from them, and am VERY please with the bike and the price-point on the build they offered. I was originally going to build the bike up slowly, piece by piece with the best components I could find for the price. When I found Adrenaline sold Soma Smoothies, I was immediately intrigued, and ended up with the perfect package, at a price I could not beat on my own. The freedom of customization that Adrenaline offers is spot on, and I would surely recommend them to a friend. As long as you have the patience to wait for shipping if you are out of state, these guys are great! After I placed my order for the Soma, I changed my mind on a couple of specs for the bike, and they gladly changed out what I wanted. Adrenaline is definitely a store that wants to please their customers! I was counting down the days until the bike arrived, and was extremely please with the reward of opening a brand new bike, in box, with all of my specifications. Overall, a very pleasant shopping experience. This shop is like a good car mechanic. Few and far between. I was referred to Adrenaline a couple years ago by my brother-in-law which ended my search for a good shop. I can say that I absolutely put my trust in their hands with advice and my builds. If they dont have a part, they will order it for you. Ive been to other shops that only sells whats on the floor. Not the case here. Customer service is what has me coming back to this shop. The employees at Adrenaline go above and beyond my expectations for any retail store. This place will never steer you wrong. They had the time and patience to answer my 100 questions about a new bike. Ive since had the guys at Adrenaline build me a few bikes and a few wheel sets. Their wheel builder knows his stuff. Im 250lbs and have yet to destroy a wheel even with a brain glitch here and there. I purchased a Rockshox Motion Control Damper from them online to replace a leaking damper in my 2008 Recon. 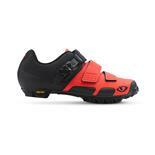 On their website, it was marked as "06-10 Recon" and the photo matched my current damper (long/red). I received a damper much smaller than pictured, labeled as 2010 only (short/black). I contacted them about 5 times, and received only ONE reply, stating that it was a problem with the distributor. Instead of offering a refund for the item + shipping, they said they would get back to me about the issue. Over a month and a half later still no response, even after 2 more attempts of contact. I was forced to buy ANOTHER damper elsewhere and sell this 2010 version for not even half of what I paid for it. Stick to reputable stores like Jenson or Price Point!!! 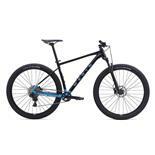 Shop has a large inventory of quality mountain bikes with a competent and helpful staff that went out of their way to assist making the correct choice for my riding needs. I visited multiple shops and it was clear from the first visit that this shop is staffed with employees that actually rides the products that they sell and gave excellent advise selling me a bike that fit my needs perfectly at a competitive price. I highly recommended Adreneline Bikes. I had severe issues with the brakes on the mountain bike I purchased that required switching manufacturers to remedy. Adreneline was fair with the pricing for the brake change and fixed the problem with minimal delay. This is a quality shop with excellent customer service. The amount of stuff packed into their retail location is amazing. I find their prices to be the lowest around. Jesse is a pleasure to work with. He's one of those guys that wants to make sure you have a great time riding, not just sell you something. When something goes wrong, Jesse is right there doing what it takes to make it right, doesn't matter whose fault it was. A friendly, welcoming place. Only way to really thank them is to keep buying more stuff from them. Have a pretty good selection of most higher end products, from wheels, frames, suspension, saddles, etc. What they dont have in stock they can easily get. They carry no shoes, clothes or anything of that sort. Jesse is very helpful. He will sit and answer all your questions, and he is very good at what he does. He also does not try to "upsell" you on anything you dont need or want. If you have your heart set on something he will sure sell it to you, but he will also tell you his professional opinion. He is the reason I go back with my questions and problems. He set up my roadbike for me and did a very good job. Go check it out, anything he can do to help he will. Although I have not ridden with them(I do plan to, but I never had a rack to get to the staging area)they do have mountain and road rides out of the shop that sound very fun, with multi levels of experience for many levels of riders. I discovered Adrenaline Bikes when I was looking to upgrade to a titanium frame. I called Adrenaline and they spent almost a half hour on the phone with me getting an idea of what bike would best meet my needs. On my first visit the shop was busy by the manager; Jesse made me feel like I was the only guy in the store. He had me ride a few different bikes so we could talk about the bike that would be best for me, not make him the most money. When we talked about price, Jesse was amazing in the way he could put together a quality build at a price way below other shops I had visited. When I was ready to buy, Adrenaline spent over an hour pre-fitting me to the bike and making my custom build that fit my personality. The guys at Adrenaline have the “right stuff” they made my bike “cool” without breaking the bank. When I picked up my bike we spent close to two hours fitting and test riding and then the following week I met the guys at the shop for a Saturday morning ride with a tune-up at the finish. I can’t say enough good stuff. I send all my friends to Adrenaline because I know they will sell them a bike that is good for them not the bottom line of the store. Adrenaline bikes is THE ONLY shop to go to in the Orange County area or ONLINE that has the stuff that the REAL riders are craving... "Show me something i've never seen before" is what i say to Jesse (the manager) every time that i go into the shop...he hasn't let me down once and i've been visiting Adrenaline's retail storefront at least once every two weeks for years. The shop is small but they've got a great selection of some of the highest rated bikes on earth. In short: these guys do what it takes to keep their customers happy and coming back. They are the cream of the crop in SoCal. Shop has a great selection of mountain bikes and road bikes -- for all riding styles (XC, DH, AM, Road, etc...). I bought a Yeti from them and have had zero issues with it since we picked it up. The prices they offer are lower than just about anywhere and they are able to get whatever you need quickly if they do not have it in stock. They have been happy to show me how to do some maintenance/work on my bike myself and are more than happy to walk you through solving problems over the phone. I think that they offer great customer service -- consultative and professional. They give you options and recommendations for whatever it is that you are looking for. Matthew and Jesse provide exceptional service. I had a new set of wheels built up and Matthew did a phenomenal job and I am very happy with them. Getting some new brakes installed this week. Overall a top-notch shop and I would not hesitate to recommend them to anyone. Great service, exceptional prices and I feel like I get very good advice.